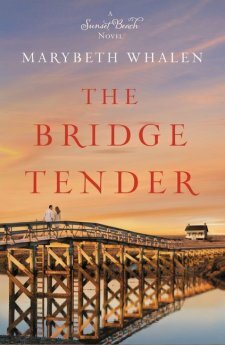 The Bridge Tender by Marybeth Whalen is an unexpected journey through grief and recovery. This is not the typical romance novel where you meet the widow a year after her husband’s death and she quickly meets and falls in love with a man she hardly knows. In fact, this book is more about a woman who faces a devastating loss and slowly moves through recovery. It is heavy and emotional and I would not take it on vacation. In this book, we are introduced to Emily Shaw who has married an amazing man named Ryan. After being married a few years shy of a decade, Emily loses Ryan to illness. He left her enough money to buy their dream home on the island of their honeymoon destination, Sunset Beach. It is there she meets new people she grows to love, including a man who understands loss. Marybeth Whalen has a way with words. This story is unlike anything I have ever read. It is so different from many books that address the same issue of loss and loving again. The grief Emily Shaw feels in this book is tangible. It felt real and I actually cried a few real tears! I loved this book for that reason. While it does end happily, the hope and relief come slowly. There is no instant gratification here. I would still give this book four stars, but I do not recommend this book for a fun and flirty vacation read. Seriously, you will need tissues…and a muffin. I was given a complimentary copy of this book from its publisher and BookLookBloggers in exchange for an honest review. I have not been compensated and all opinions are my own. 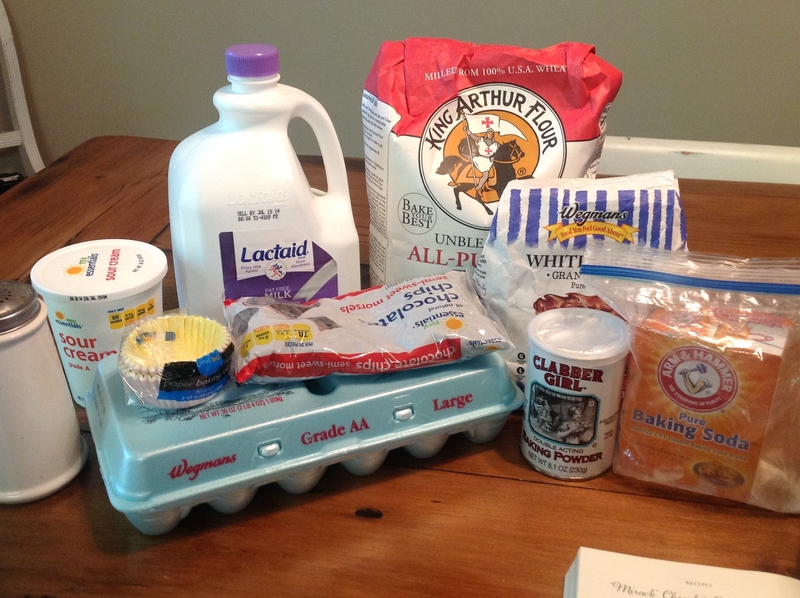 Speaking of a muffin, Marybeth Whalen also included recipes from the story in the back of the book! 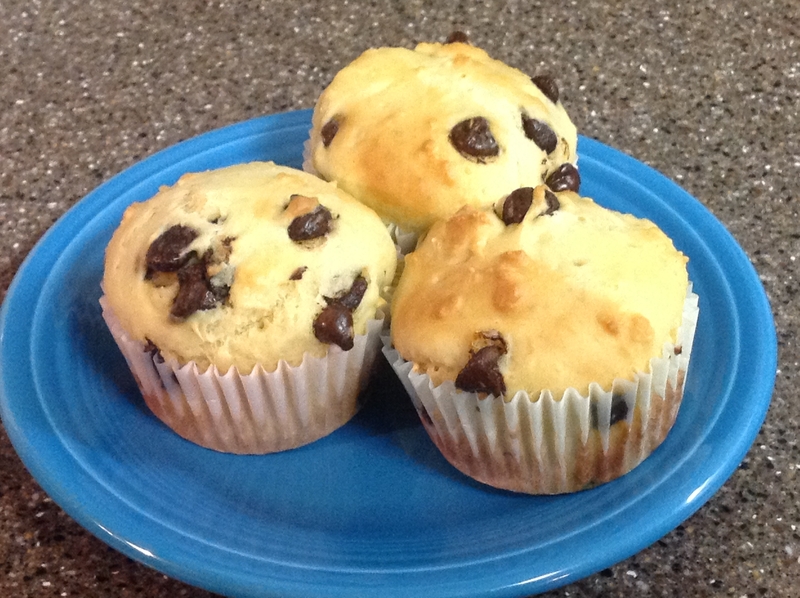 Here are the “Miracle Chocolate Chip Muffins.” After reading The Bridge Tender, I absolutely needed a muffin! You really only need basic pantry ingredients. In a bowl, beat the 2 eggs. Next, stir in sour cream and milk. Mix dry ingredients together and then combine with the wet ingredients. Stir until moistened. Fold in Chocolate Chips. 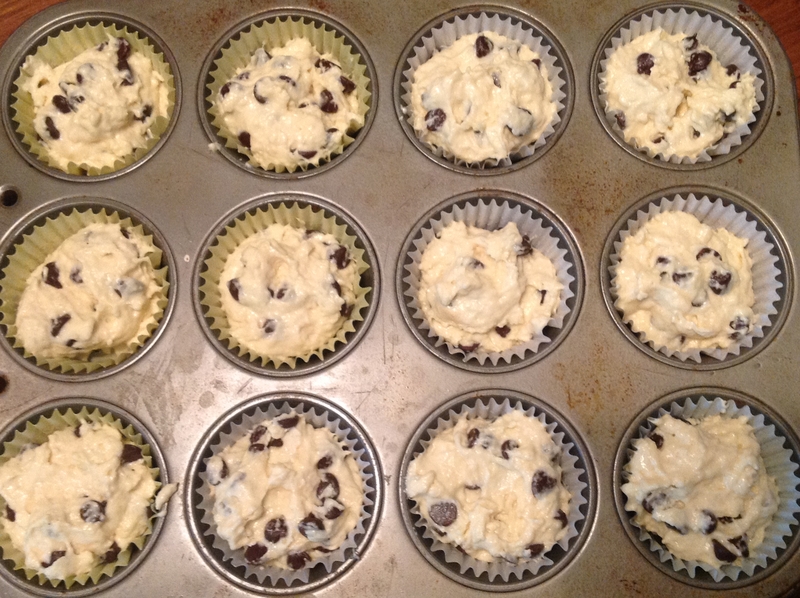 Fill greased muffin tin cups 3/4 full. Marybeth Whalen’s instructions say to bake at 400 for 20-25 minutes. I did so the first time and burnt mine. I think my oven is hotter! The second batch I baked at 375 for 20 minutes and they were perfect. Because I am an emotional eater, I strongly suggest baking these before you read. If you are like me, you will need them!